is a 10,000 square foot commercial center in downtown Floyd, Virginia. The center includes 14 spaces filled with locally-owned retail shops and offices, and is part of downtown Floyd’s vibrant pedestrian community. Retirement Accounts, Investments & Annuities, Cd’s & Savings Accounts, Bank Deposits, Member FDIC. Call us at 540.745.3574. Since 1997, six time world Champion Scott Rutter has been training young men and women in the disciplines of International tae Kwon Do and Shotokan, while also offering Lil Dragons and open training classes. For more information, call us at 540.745.7271 or visit our website. Pam Snead provides customers with solutions to their financial needs, enabling them to reach their financial goals by consolidating bills that may be weighing in on them, and or lending those cash to improve and maintain one of their biggest investments in life, purchasing their home. She specializes in USDA, FHA, VA and Conventional loans. Call us at 540.239.4446 or visit our website. Johnny Wayne Carter is an independent agency serving clients in Virginia. The agency offers prompt, professional service for auto, home, business and life insurance coverage to its customers’ needs. We’re a part of the local community. Call us at (540) 267-5054 or visit our website. Martin Arthur CPAs provides affordable and personal accounting and tax services to the New River Valley and beyond. We care about our clients and meeting each of our clients’ individual needs, whether you need tax preparation, an audit, review, or compilation, or basic accounting services for your business. Call us at 540-381-2340 or visit our website. Joanne F. Dillon, M.S., CCC-A, FAAA, Clinical Audiologist. As the New River Valley’s Comprehensive Audiology Service Provider we offer Hearing Evaluations for All Ages, Complete Hearing Aid Service, Custom Earmolds, Hearing Aid Accessories. Call us at 540.745.8327, email us or visit our website. The Floyd Martial Arts and Wellness Center is dedicated to the study, practice, and teaching of Chinese internal martial arts and medicine. NATSTA member. Call us at 908-418-7615 or visit us on Facebook. Dr. Charles French, General Dentist and Dr. Janet French, General Dentist. If you’re looking for high quality and personal service, you’ve come to the right place. At French Family Dentistry we’ll give you the attention and service you’ll come to expect and enjoy. Call us at 540.745.4902, or visit our website. Healing Tree Wellness Center specializes in Hair Analysis, working with clients throughout the country and even parts of the world. Healing Tree also offers Shiatsu, a Japanese style of bodywork and Yoga for Beginners. Our office hours are 9:00 am – 5:30 pm. Call us at 540.745.3030, email us, or visit our website or facebook. The Village Green is a newly renovated commercial center with fourteen units suitable for retail or office space. 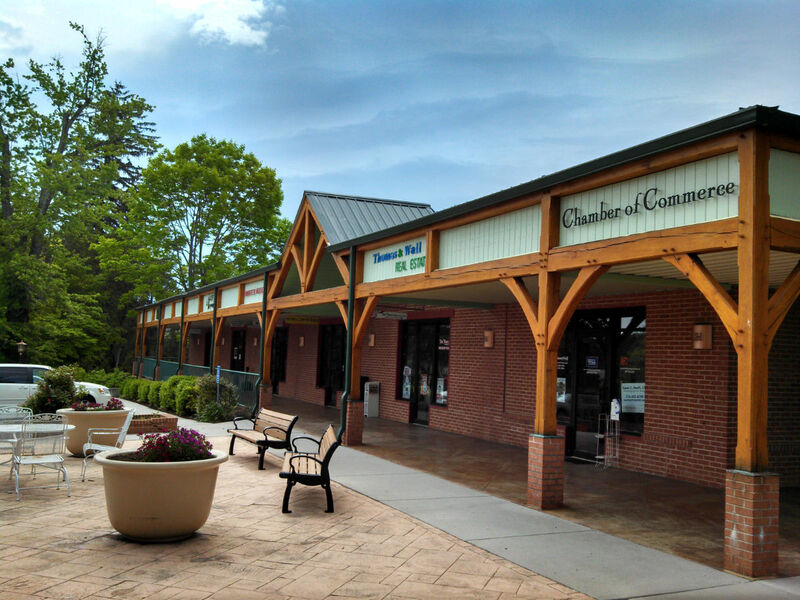 It is located in a prime downtown area with ample parking at 201 East Main Street, across from the Bank of Floyd, behind The Station, and within walking distance to all downtown businesses. All units are currently leased. For information on future availabilities, please contact Jodie Norton at 540-745-RENT (7368).